When a woman respects herself, she intrinsically commands reciprocation and should she not receive it, she will invite you to step up your game or to step off of her playing field, as she would expect you to. Should you mistakenly demand that she compromise her integrity, dreams or happiness for your own standards and needs, she will not hesitate to walk away, as she would expect you to. 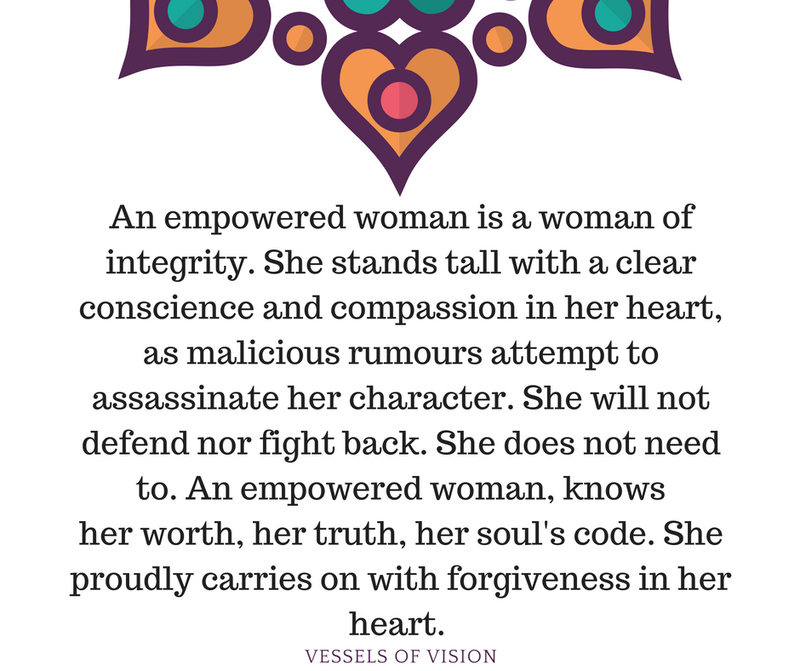 An empowered woman knows that her every choice matters and that her best choice, regardless of how challenging it may be, is to act in harmony with her soul’s code and the whispers of her heart, as she would expect you to. 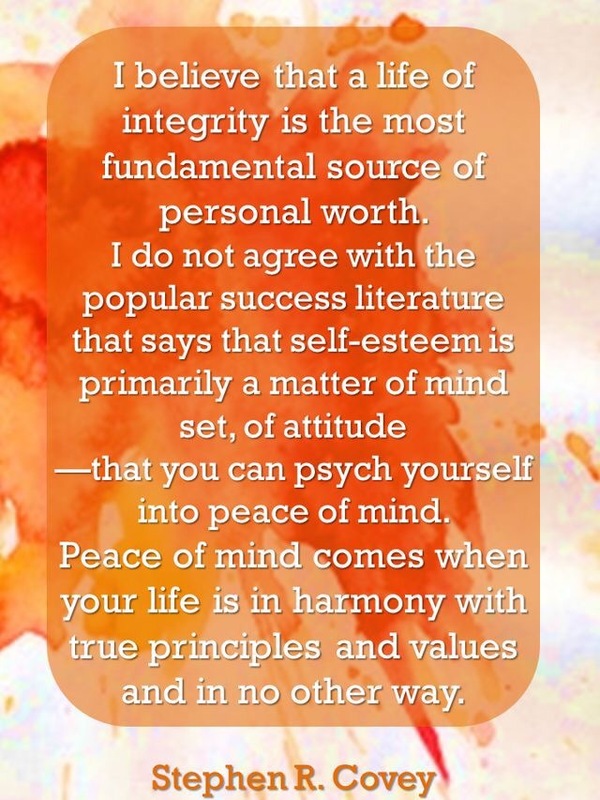 Integrity is the fundamental source of self-worth, the soul of success …. 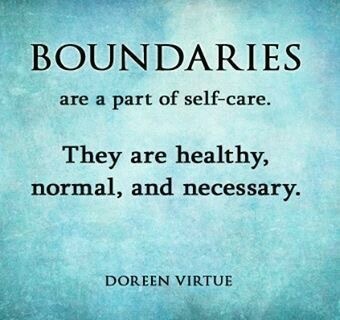 Setting boundaries is healthy self-care. When we say ‘no’ without guilt or shame, we are signalling self-respect, integrity and our commitment to living our lives authentically. 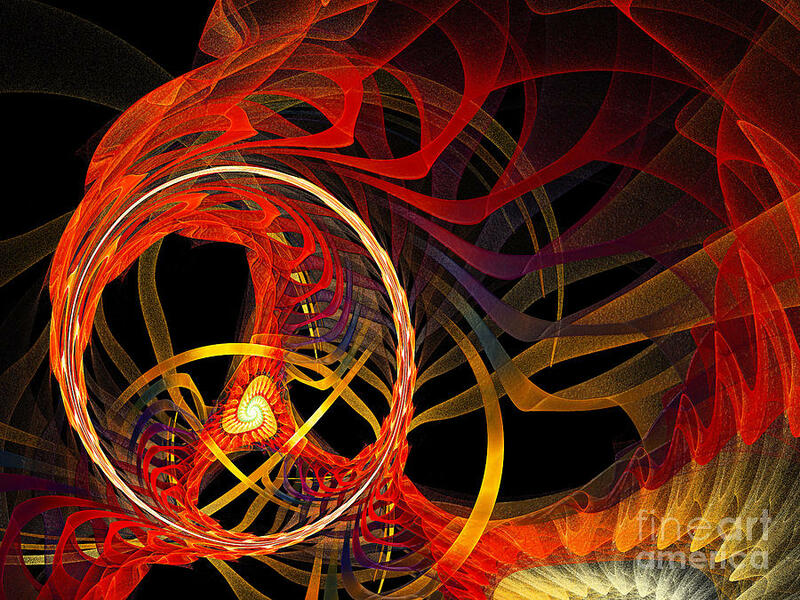 Personal integrity weathers all storms. Coming through time after time after time, year after year after year.